Alvin started building new custom homes in 1970 and has worked the housing industry since. 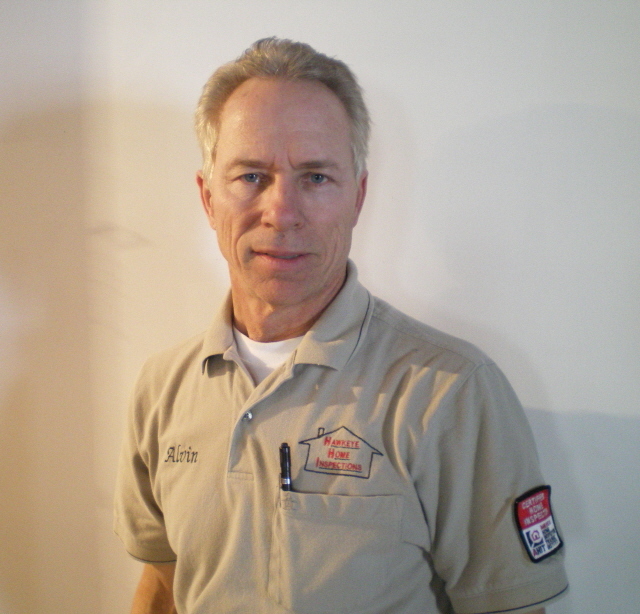 Alvin was a framing/cabinet/trim building contractor/inspector for Olen Stidham General Contractor from 1971 to 1978. Alvin personally performed every aspects of home building to include designing, architectural, consultation, framing, trim, cabinet making, plumbing, heating, electrical, foundation and concrete works, indepth/exhaustive inspections for repairs, excavating and much, much more. My indepth experience enables me to inspect your home with “precision” regardless of size, age or design. I am ‘your’ Home Qualified Inspector. Let my experience give you ‘Complete Confidence’ and ‘Peace-of-Mind’ with the large investment in buying your new home when I inspect your house. A Home Inspector performs a professional, objective visual examination of the physical condition a home is in at the time the inspection is performed. An inspector is not intended to point out every minor problem, defect or flaw in a home but to detect fire, health, safety and structural issues. I will note maintenance issues for your information. A Home Inspection by a professional Inspector will reveal problems the average person would not normally see or know how to diagnose and will also point out the positive areas of a home. 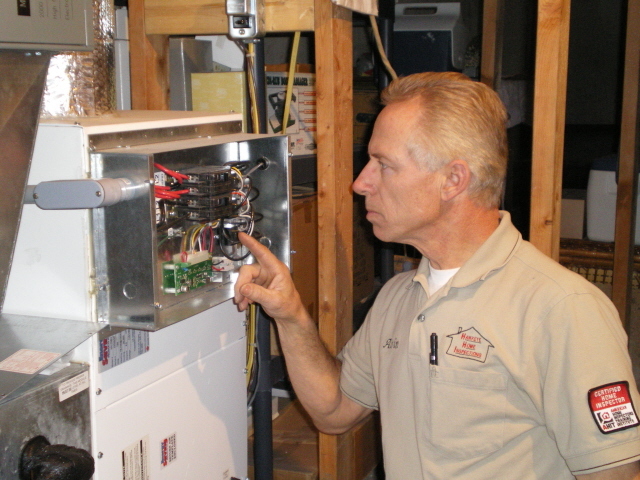 As your Home Inspector, I provide useful repair and mainteneance information to you, the home buyer. 1. Look for an inspector that has a solid home building background; such an inspector knows how a home is put together and how everything is supposed to work in a home; they have diagnosed problem areas when building, remodeling or renovating homes. They have very ‘first-hand’ experience in taking care of problems in homes. 2. Look for an inspector that is Professionally Trained, AHIT, American Home Inspectors Training Institute and CERTIFIED through a Professional Inspector Organization, like ASHI, American Society of Home Inspectors. 3. Look for an inspector that is a professional, full time inspector. Landscaping– effects on the foundation; does settling dirt around foundation need attention; trim trees/shrubs; retaining walls. Windows, Caulking, Siding– is caulking in place to keep water out; condition of windows, siding, trim, etc. Air Conditioning Condenser– is unit level; does it operate properly; are the lines insulated correctly; does it appear to need servicing. Ceilings, Floors, Walls, Windows– are there any stains or holes; general condition of all items. Plumbing System– check drainage; is there water flow/pressure drop; do toilets operate properly; condition/age of water heater; signs of any leaks/rusting. HVAC System– efficiency of heating/cooling; does it operate safely; does it appear to be in good shape; has it been serviced properly; does it appear to need repairs. Electrical System– is system properly sized for house; do breakers/wire sizes correlate; does system appear to be safe; do AFCI & GFCI circuits operate properly. Attic Area– check: roof sheathing(any water stains from leaks,etc. ); proper ventilation(extremely important for proper heating & cooling); make & adequacy of existing insulation; general condition of wood framing and much more. Structural System– What is general condition of house; were proper framing methods utilized; do floors, beams and roofs appear solid/straight/in good condition; what condition is the foundation in; and much, much more…. Home inspection costs generally range from $300.00 for a small house and up depending on the size and content of the house. A radon measurement fee is normally $125.00 per test. I request your presence by the close of the home inspection to review inspection report findings, answer any questions you may have referring to the inspection and the integrity of your new home. I want you to fully understand the condition of the home you are about to purchase. After you review the inspection report and do the walk through, you will feel confident I had your best interest in mind to insure you have a ‘Peace-of-Mind’ in knowing the condition of your new home and feel very confident concerning your investment. It is my job to protect you against surprising, hidden defects in fire, health, safety and structural issues of your home by giving you a very good concept of the condition of your home at the time of the inspection by performing a 500+ point, detailed inspection. I will record my findings for you, help you understand the implications of any inspection findings, and direct you as necessary to a corrective resolution by recommending top quality contractors to perform any repairs as recommended. My report is computer generated via HomeGauge, (www.HomeGauge.com) with digital pictures and depictions to areas of concern along with good aspects of your new home. The report is clear and easy to understand. I make every effort to discover and report any defects or areas of concern to you; this is where my years of experience and ASHI Certification as an inspector are invaluable to you.